Every so often a product comes along with an idea and a solution that you would have never thought possible. That’s what you get with Compact Fishing Systems as it gives you a huge amount of versatility in a compact device. There are two aspects that really set this product apart with the first being the high level of functionality that it has. Secondly is the fact that it is so small and therefore you will be able to take it anywhere you want to go, including on vacation. While compact devices often lack durability, one of the huge advantages of this product is that it is nearly unbreakable and should last you for a vast number of years. It’s all part of an overall design of the product that is highly impressive. Further into this review, we will look into what exactly makes it so versatile and the added features that you are going to be able to have. We will also looking into all the other reasons that make this such an innovative product. This is a product that is going to change the game for a lot of people who love fishing and have been looking for something that they are able to take to multiple places. It’s a fishing rod that can not only be used like a normal rod, but also has the portability to be taken anywhere. As well as its innovative coil design, there are also plenty of other features which make this rod stand out. Here we look at a quick list of the other features that make this product one that sets itself apart from the crowd. 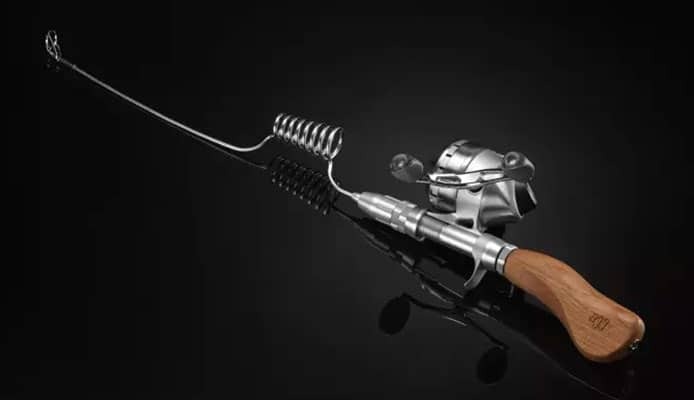 Usability: Despite its size and the unique shape of the rod, it’s able to be used like a conventional fishing rod and reel and function in exactly the same way. This allows you to have the same level of usability from this product as you would get from others, which are a lot more difficult to handle and transport. The reason that it can be used in much the same way as a conventional rod is due to the fact that it has a stainless steel spring that is able to play a few key roles. Not only will it work as a line leader but it will also offer the flexibility and tension required to reel in those fish. That spring will be able to cope with different types of casting weights and also different fishing methods depending on its size, and is easily interchangeable with different spring types if you wanted to do a different type of fishing. One great aspect of the size of the rod is that it means you can fish in places where it would otherwise be impossible or at least very difficult. Places with dense vegetation or fishing on small boats now become a lot easier. The rod is very easy to use in cramped spaces, as well as being easy to use in open space too. Portability: There are two things that you will immediately notice when you see this fishing rod. One of them is the small size of the product and the other is the spring system that it has. The spring allows for that size which makes it highly portable and able to be easily transported like a telescoping fishing rod. When you dig a little deeper, you see that there’s more to this product than just the added portability but we will save that for the next section. The portability though is remarkable and one area where your conventional fishing rod can make life very difficult. Travelling with a conventional fishing rod, especially in the air, can not only be difficult but it can also be very expensive. This rod will easily fit in with your other items and allow you to enjoy your fishing anywhere in the world. If you do find a place that rents out fishing gear, you often have to pay high prices and run the risk of breaking them and paying astronomical fees. With this rod you will be able to avoid all of that and enjoy the added benefit of the near-unbreakable levels of durability it has. Versatility: As we mentioned there, when you first look at this product you think that it’s going to be the portability that would be its most impressive feature but it is actually the huge amount of versatility that it has. With a few quick amendments this rod can be whatever you want it to be. It can be used with a range of different reels and will work well in the upper position with a bait cast or spin cast reel and also in the lower position too with underspin or trigger spin reels which means that you will be able to enjoy whatever type of fishing you prefer. The casting distance also won’t be affected either. The tension and energy created by a normal fishing rod will be replicated by the spring that you are going to find on this rod. This will be able to launch your bait like a catapult into the water. That is a great level of versatility already, but the interchangeable nature of the rod is what turns it from a great product into an exceptional one. All the parts are adjustable, allowing different reels and handles to be used but especially the different types of spring coil. There are six different types of spring that are available from extra heavy to ultra-light, with a short pole that is also included. Added to that you can also get the three different types of handle that are going to be ideal for spinning, casting and they also have a nano handle for when you want it to be as compact as possible. This is a product that you can’t help just be impressed by. It helps to revolutionize fishing and opens up a new world to those who thought that there were places that they weren’t going to be able to enjoy their favorite pastime. Here we look at how the Compact Fishing Systems ranks in some key areas. Price: 95% – Due to the level of innovation and build quality that has gone into this rod, you shouldn’t expect it to be cheap. It is, however, very reasonably priced especially when you compare it to full-sized rods that don’t have the same advantages.The price can vary depending on how many accessories you want. Each type of tip and handle comes with its own costs but this allows you to customize the product so that it perfectly matches your needs and the style of fishing that you love. Material: 100% – Another great feature that this product has is the durability that it has. For a product to have the highest levels of durability it needs to be made with the highest build quality but also the best materials.The wood and metal used in this rod are of the highest level of quality to ensure that the product has near unbreakable levels of resistance. It also means that it functions perfectly time and time again. All you need to do is add some great fishing line and off you go. Design: 100% – The design of this product is highly innovative and makes use of a short amount of space and still delivers a rod with a very high degree of technical capability.It is able to achieve all of its impressive feature whilst still managing to deliver a design that is highly stylish and one that will look great when you are out there by the water. Overall: 98% – Overall this is a product that is able to overcome some common logistical problems and is still able to produce a rod that doesn’t fall short in terms of quality and usability. It ticks all the boxes on what makes a great fishing rod. Often when a product like this comes along you worry that it might be a gimmick and in real-world use it fails to live up to its billing. 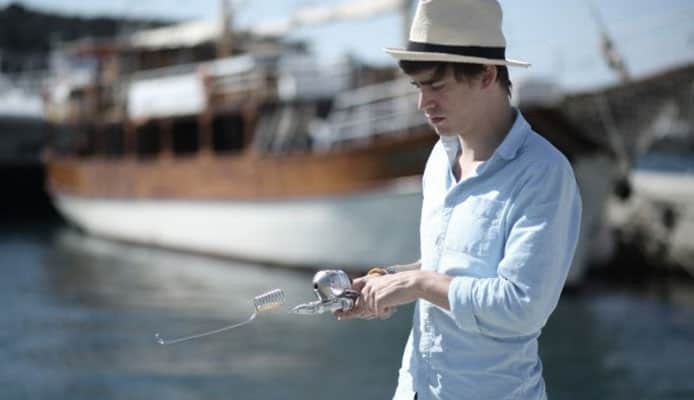 With this fishing rod though, we see an outstanding device that is able to still function very highly as a fishing rod. 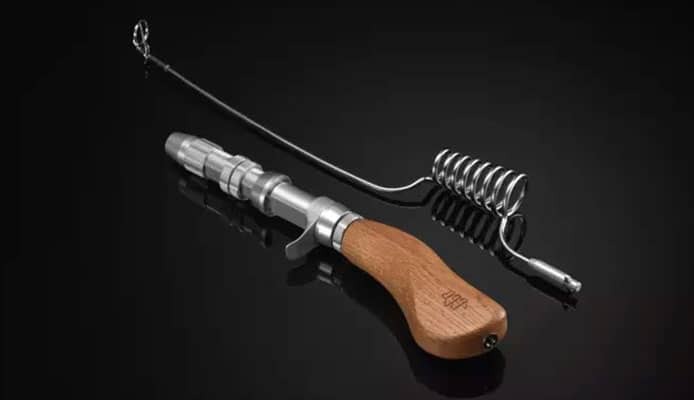 The amount of action that you can get from the spring coils is remarkable and that allows it to come in a size that can be easily transported to many different locations. The versatility that comes with it also means that you can enjoy different types of fishing without the need to take a completely different rod with you. It’s these innovations that make the Compact Fishing Systems rod a highly recommended product for anyone who loves fishing. Due to its design and build quality, it will become an essential part of your fishing gear for many years.